Dear Bride, This Wedding Destination Is An Exotic Dream You'd Never Want To Wake Up From! Not kidding! 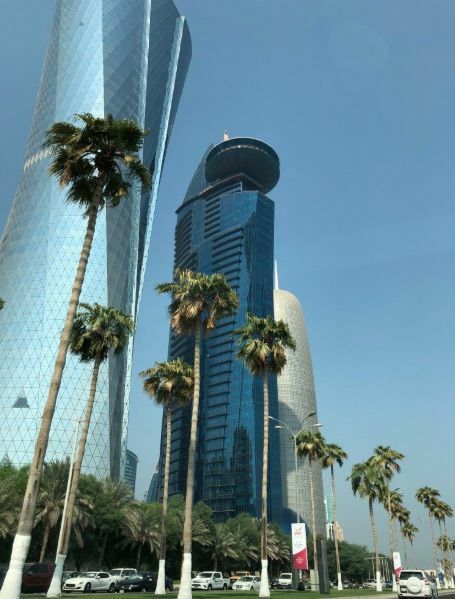 The answer you're looking for is...Doha. It's not everywhere you get to experience a centuries-old culture, modern architecture, luxurious hospitality and island vacays all in one city. The young capital of Qatar has blossomed into an exciting holiday destination. So much so that it is catching up to Dubai, rapidly and steadily. 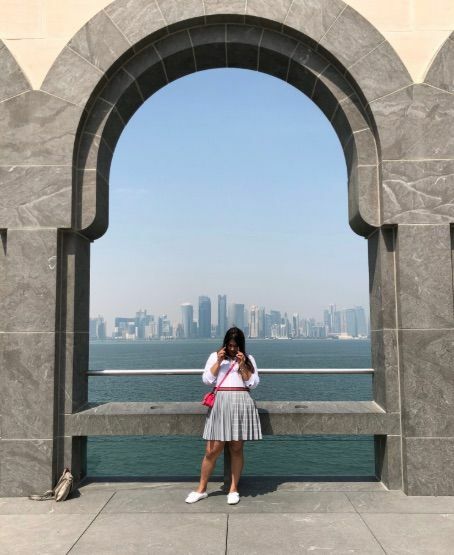 Apart from having state-of-the-art infrastructure, contemporary-design buildings and beautiful panoramas with the sea as the background...everything about Doha is steeped in the centuries-old culture of Qatar. There's more that has convinced me that there would be nothing better than to get married in Doha. 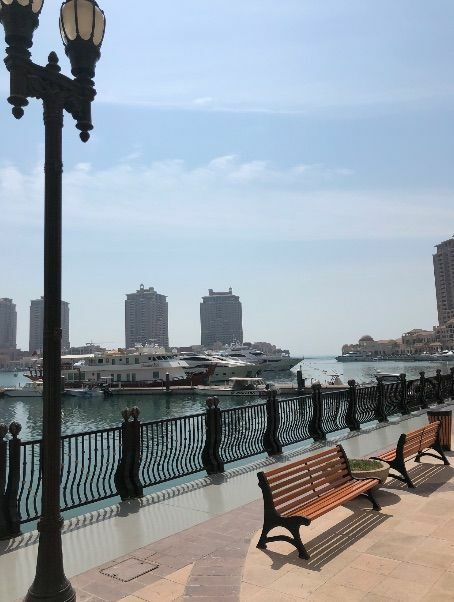 Trust me, if you want to be treated like a REAL queen and want to experience the middle-east like never before, you need to take a trip to this culturally-rich, supremely luxurious and artistically-inclined city of Doha in Qatar. Sounds incredible, right? You can see for yourself! 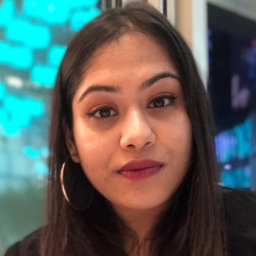 Lucky for you, I had one of the most exhilarating travel experiences of my life in Doha last month...a journey that proves that to be a bride in this city is no less than being Beyonce. Don't worry, I took notes for you all. 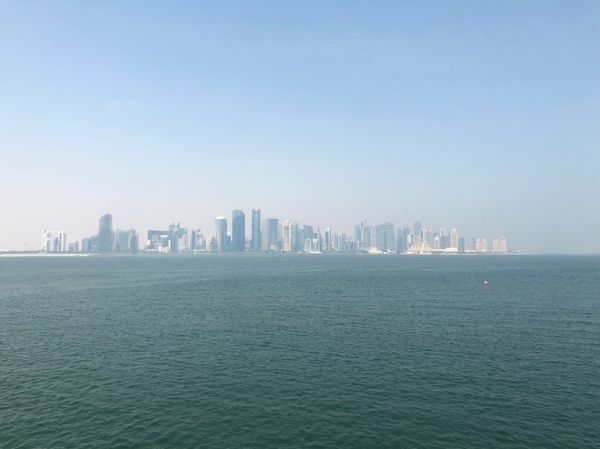 There is so much about Doha that I fell in love with - but the best part? My hotel, Mondrian Doha. If you're looking for the ultimate wedding destination with all the trimmings, I've got five reasons why this luxury hotel is your best bet. 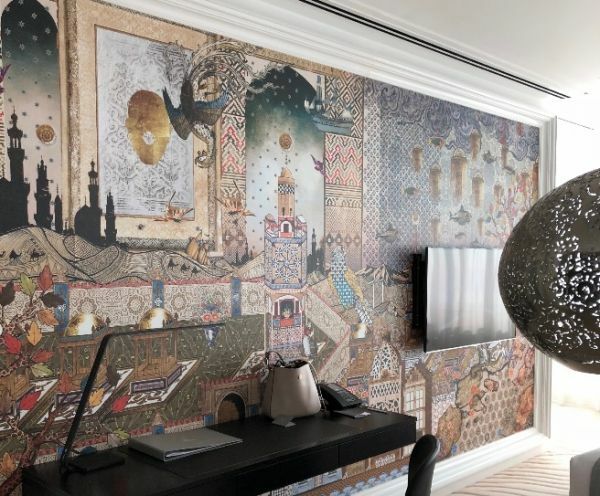 The Mondrian Doha is positively one of the most exquisitely artistic properties I have ever stayed at. 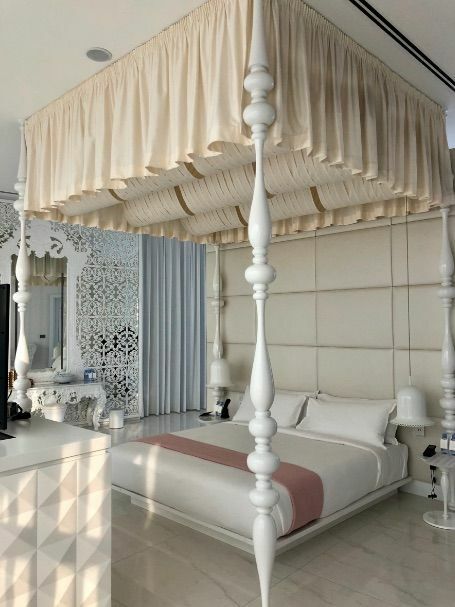 Not only would a bride-to-be appreciate the exceptional service standard the hotel has, but she would, more importantly, love the fairytale world that is the Mondrian Doha. 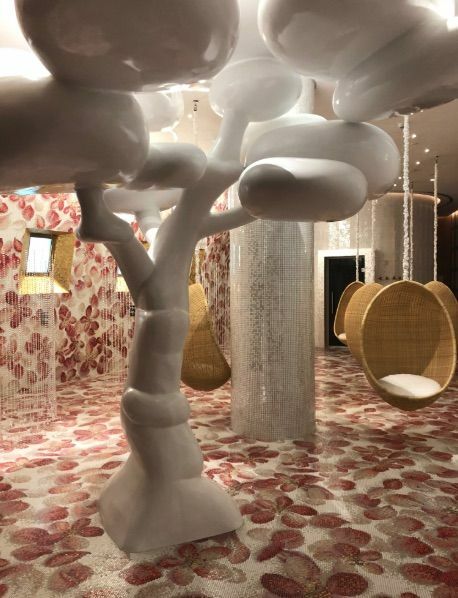 Designed by Dutch interior designer Marcel Wanders, the hotel offers an extraordinary, larger than life experience to its residents. Every corner is a whimsical surprise waiting to leave you spellbound. Watch out for these when you are at the hotel. Trust me, it'll be hard not to. It's the caged design the building rests on! 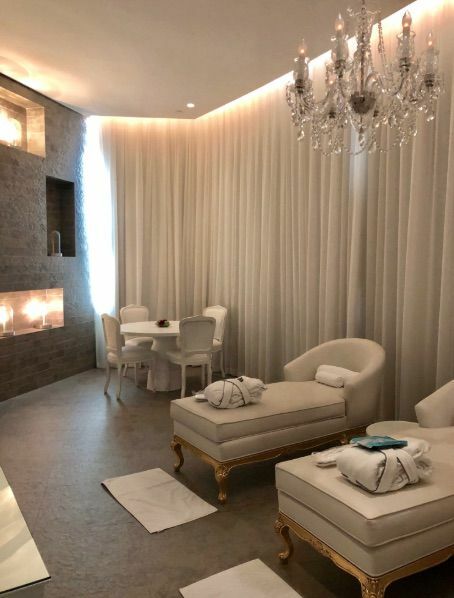 All across the lobby and at the spa. Every single room has a different one. When the bridezilla in you is about to roar, take a dip in the Instagrammable pool. The pool is a quick stress buster, but the bride deserves more, doesn't she? 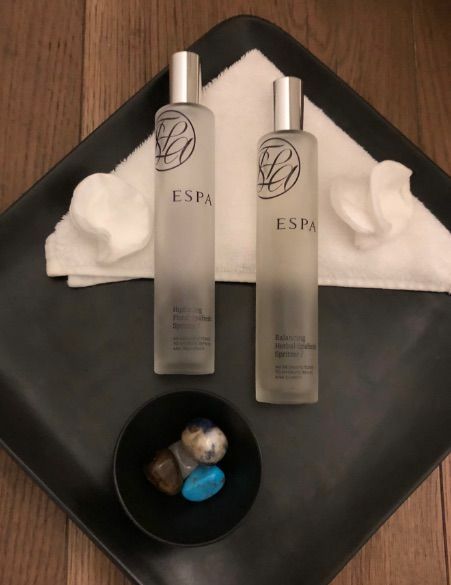 That is where the fit-for-a-queen spa, ESPA, comes in. 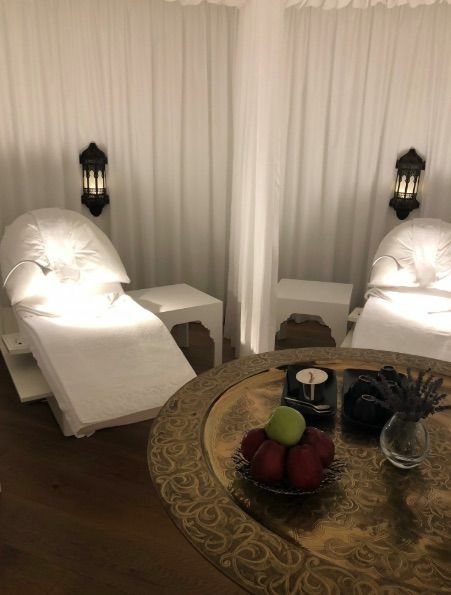 ...and most of all, the glow-inducing spa treatments. 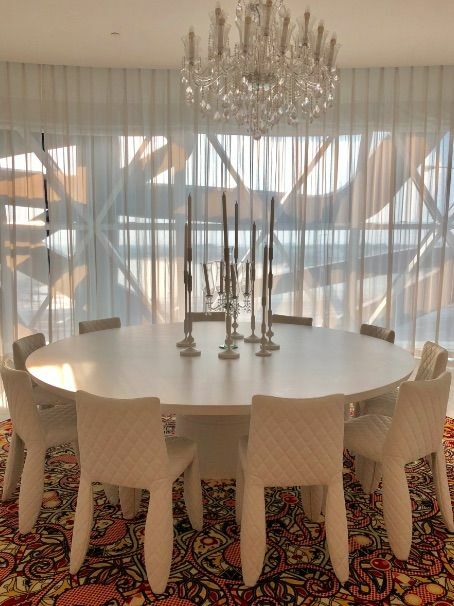 Crystal chandeliers that light up the four-bedroom bridal suite. 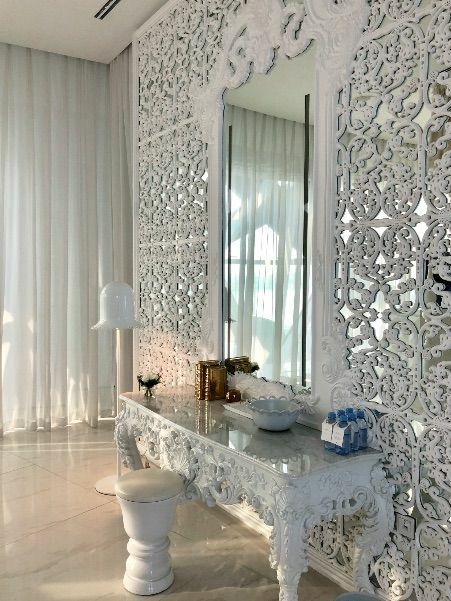 These include a dressing and makeup room with an exquisite embellished mirror to marvel at yourself in; a bridesmaid's bedroom (lucky lady); a sprawling living room; and an en-suite master bedroom for you, the bride. 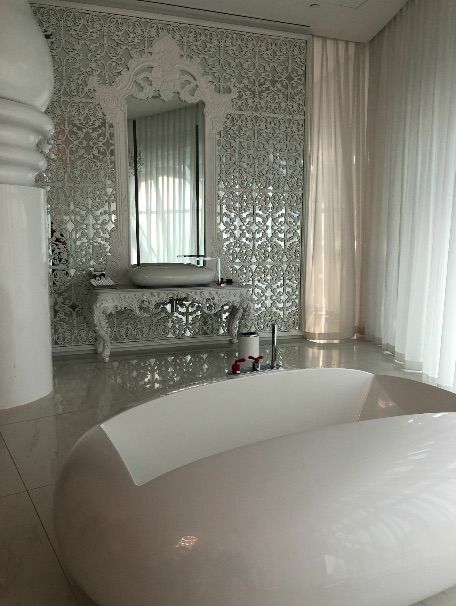 This room features the most royal four-poster bed, a walk-in closet and a bathroom (with a crystal-chandelier shower, a chic white bathtub and a hot sauna crafted from Scandinavian wood). 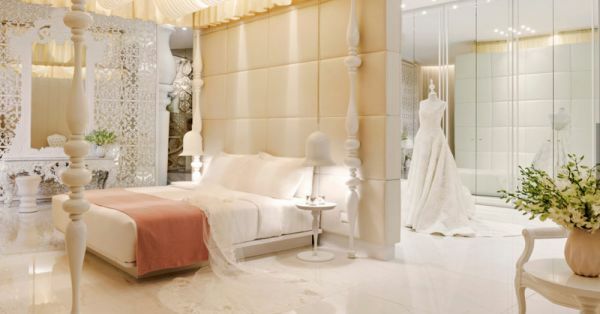 Not only is the bridal suit grandeur personified, it is also convenient for the bride as it it connected to the Moonstone wedding hall a floor below. On your wedding day, you are a celebrity... and celebrities always make the most extravagant entrances. 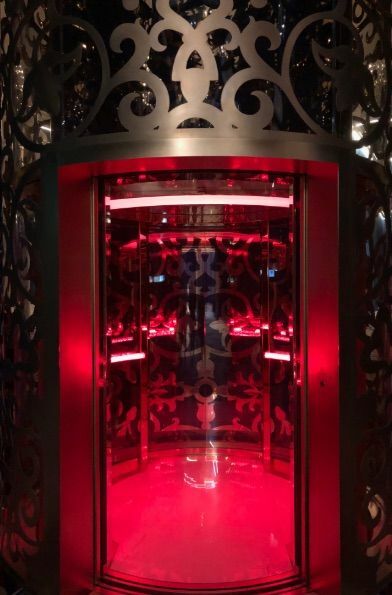 Make your big OTT entry in the 24 Karat gold-sculpted elevator that takes you directly from your suite to the ballroom where your wedding party is waiting to sigh at your sight. So, that was my favourite part, but if there is still ANY space for doubt, there is much more that made it an offer I couldn't refuse. 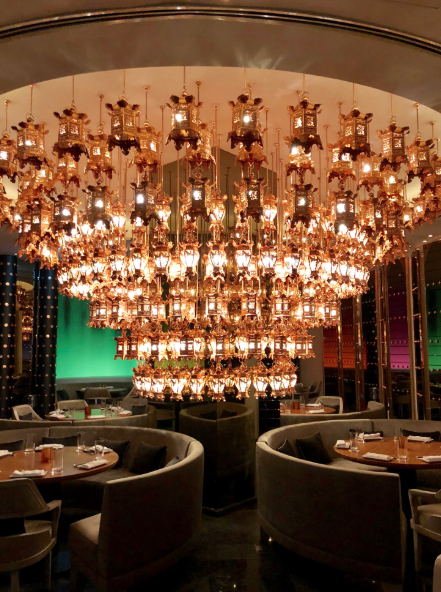 A culinary experience designed by acclaimed chef and restauranteur, Wolfgang Puck, CUT at the Mondrian is the Qatari reflection of his American brainchild. And guess what? 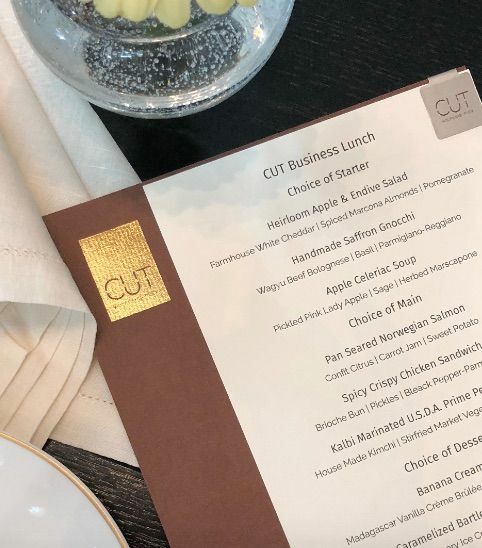 You, brides-to-be, can step down from your chambers to get a taste of the finest dishes at CUT at breakfast, lunch and dinner time. 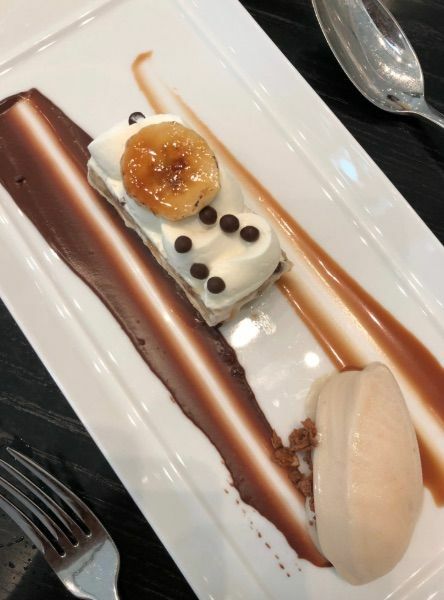 I'm not exaggerating when I say the dessert that I treated myself to at this restaurant has been the BEST so far - whether it is pancakes or their Banana Cream Pie, I'm lucky to have tasted heaven at CUT. 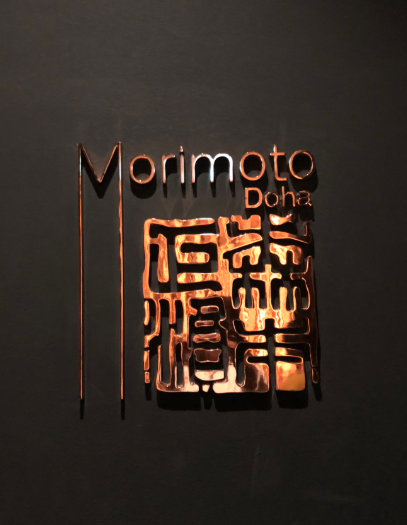 A dining concept by the world-famous Chef Masaharu Morimoto, this stunning restaurant offers the best oriental menu in Doha. With rose-gold lanterns and a 14-seat sushi bar creating a glamorous effect, this Japanese space will take your dining experience to a whole new level. P.S. It is Morimoto's first middle-eastern venture ever. You can't leave this hotel without celebrating your wedding with one of their signature cupcakes, cakes and cookies. My personal favourite is their Chocolate Banana Pudding... I even flew some back to India! If you want to take time to sip on a cold beer and munch on some fries away from all the wedding prep, walk down to the Hudson Tavern. 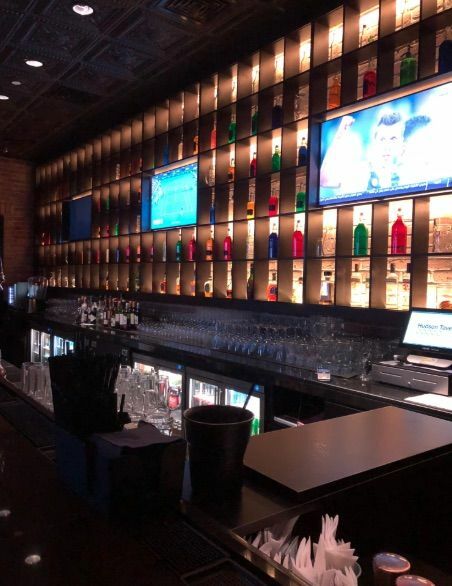 Where rustic meets modern, you can try one of their juicy burgers in your private vinyl lined booths or cradle a relaxing brew at the emerald green bar. If you don't try delicious authentic Qatari cuisine in Doha, you'd be missing out. The Mondrian Doha's Walima will occupy a permanent spot in your heart - tinted glass windows in vibrant reds, greens, blues and yellows and exotic Qatari cabanas to watch the sun set over the West Lagoon Bay skyline. Doesn't that sound like a super way for a stressed out bride-to-be to wind down after her wedding? 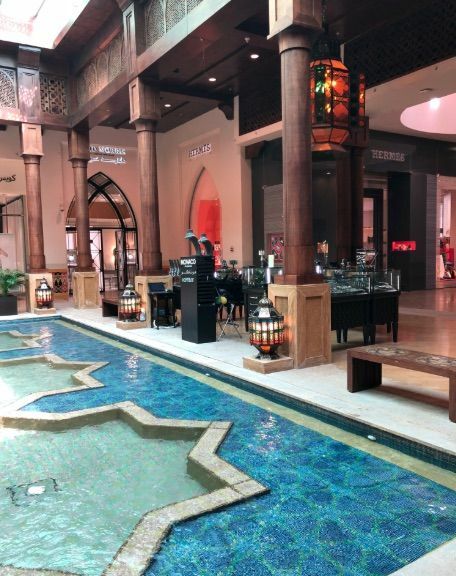 A vast marketplace or 'souk', the architecture and design of which is reminiscent of ancient spice and cloth markets, this modern counterpart will charm you out of your wits. Cobbled alleyways with oud and traditional garment sellers, souvenir pop-ups on the street and quaint cafes with delicious food from all around the world... 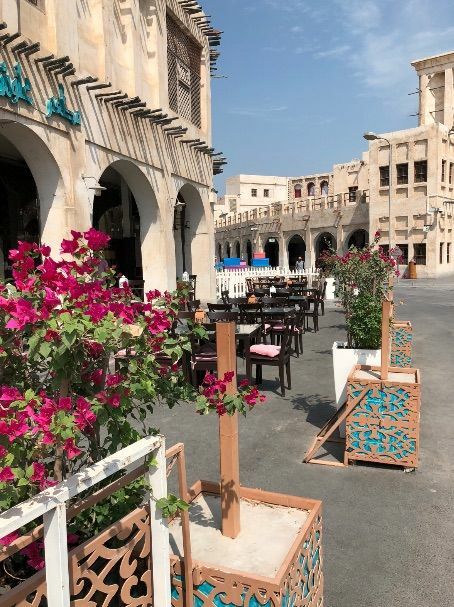 The Souq Wakif is an aesthetic you'd never want to leave your memory. 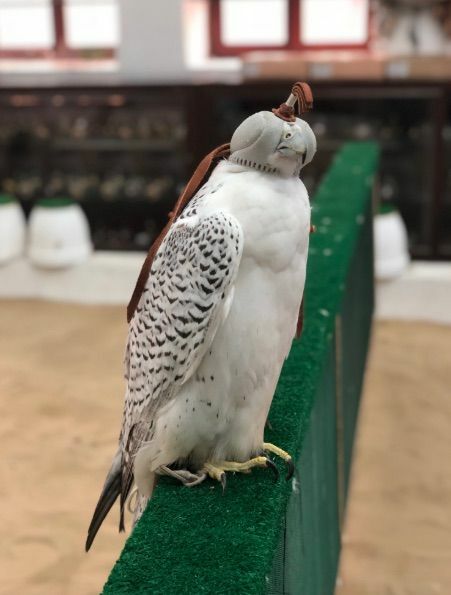 A little known fact about the souq: it houses a smaller, falcon souq inside where the Qatari elite can buy the finest falcons in the country. It even has a heartwarming little falcon hospital! Driving up and down the hot sand dunes with the sun shining down on you in a four-drive jeep is the ride of a lifetime. 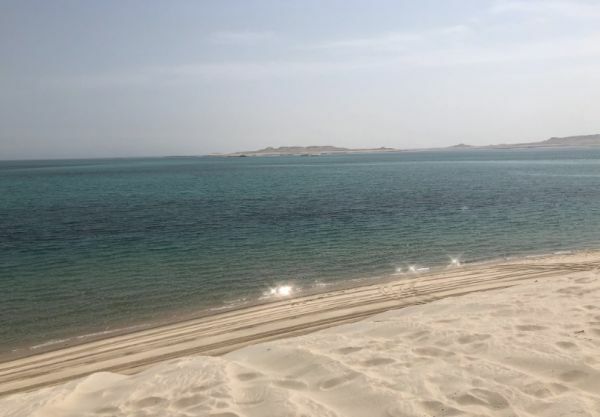 What made it unforgettable, however, was driving down one certain dune to discover a gold-sand beach and the sparkling sea at the edge of the desert. Brides, these are the little moments of joy the Qatari city of Doha can give you and you CANNOT miss this one. 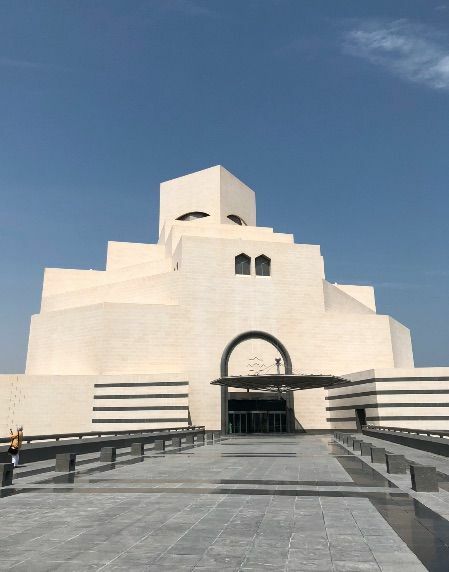 The Museum of Islamic Art is a modern structure created by a cluster of blocks put together... stunning as it is but even more so when you step inside. What you don't realise unless you look closely (and this is true for all of Doha's 'modern' skyscrapers) is that the architecture and interior design of the museum is a harmonious union of traditional Qatari elements and modern design. The museum houses a Michelin-starred restaurant, historic pieces from India and the middle-east and a breathtaking backyard with bubbling fountains. The highlight of the museum tour was the view from the MIA. 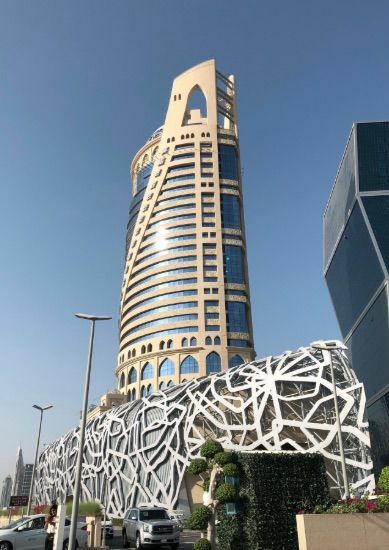 Since it is positioned on one end of the seven kilometre water-front corniche, the panoramic views of the cityscape will make your heart skip a beat. 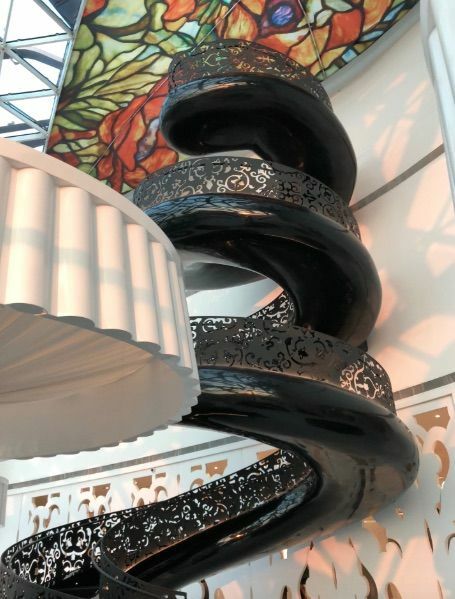 Warning: you might want to shift base to Doha permanently on a visit to the manmade island that is the Pearl. Expensive yachts parked in line at the marina that the residential apartments overlook. A regal shopping arcade with high-end clothing and automobile brands such as Balenciaga, Elie Saab and Rolls Royce and Ferrari, respectively - there is little about this 'island' you'd be able to resist. One of the best airports I have ever been to, Hamad International Airport is a shopper's paradise. From international luxury brands such as Gucci and Harrods to souvenirs and chocolates, the Doha airport needs at least two hours of your undivided attention. So, make sure you arrive accordingly, brides. Doha is four-and-a-half hours from Delhi. If you really want to make the most of this short flight, book Business Class tickets for you and your bridal party. I travelled Business Class with Qatar Airways and it is truly a marvellous flight experience. Personal attendants, an a la carte four-course meal, a luxurious wine and cocktail selection and a private seat that turns into a comfortable bed... What more could a bride want? If you've already picked a wedding destination, don't hesitate in making Doha your wedding and honeymoon spot. You won't regret it. P.S. There are a few essentials to keep in mind if you do plan a destination wedding. Read the list here.